The Internet marketing industry is growing exponentially and has opened good times for digital marketing jobs aspirants in terms of opportunities and good salary. No other industry is growing the way digital marketing is surging at an average rate of 30 percent annual growth. More workforce is required as businesses are going digital and opportunities are increasing at an unprecedented pace. 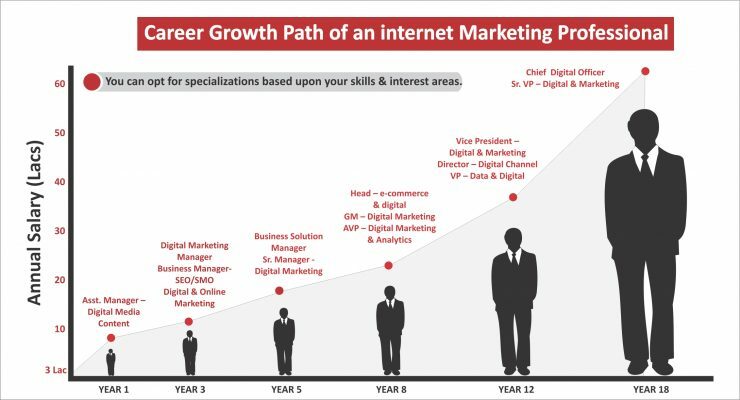 From startups to big companies, all want to leverage the next generation online marketing jobs opportunity. Here we are discussing top 10 Internet Marketing Jobs. Joining Digital Marketing Training courses will make them certified professionals and a rewarding Internet Marketing Career will follow. In Internet Marketing manager’s job involves managing Digital Marketing Executives and specialists, content marketing, social marketing, search marketing, analytics and inbound marketing of PPC with other specialists reporting to the position. The skills, creativity, expertise demand ability to improvise when the systems are running, track and measure performances of different components of Digital Marketing and motivating respective professionals. 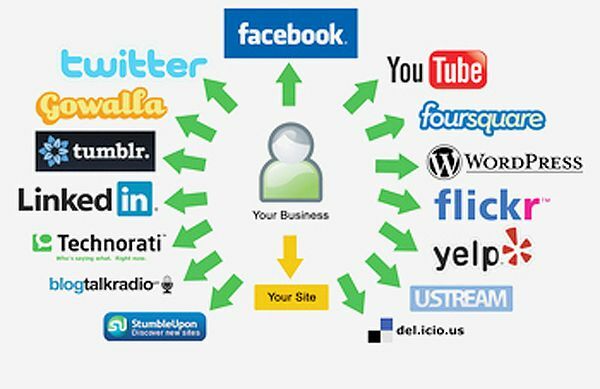 The expertise needs to be proved by certifications in different Internet Marketing Channels. The salary package ranges from Rs 15 to 20 lakhs per annum proportionate to the experience, skills, certification, and reputation. In some cases, the salary can go up 40 lakhs per annum. The high point of Content Marketing is its ability to generate 3 times more leads while saving 60 percent costs, says DemandMetric, That makes Content Marketing Manager a high demand position. A Content Marketing Manager channelizes relevant Content Campaigns on different social and digital channels and it plays a very important role in Digital Marketing jobs. They must know how to attract and retain a clearly defined audience to engage leads for ensuring better returns. A Content Marketing Manager is responsible for managing the blog, sales page copywriting, SEO compatibility of the campaign, guest blogging, drip marketing campaigns, e-book publications, video marketing, inbound communication and PR. online Marketing jobs also offer Freelance opportunities. 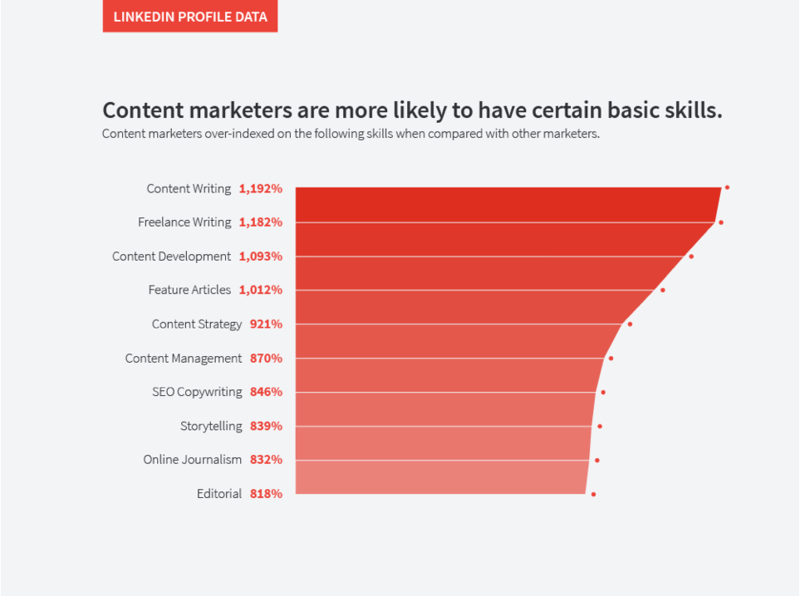 The average salary is 10 to 15 lakhs a year but having an experience of 5 years in content writing and marketing is a must. They optimize the visibility of a website or a web page in the unpaid results of Search Engines. Trends prove that when SEO (Search Engine Optimization) is integrated with paid advertising an average 25 percent increase in click rates and 27 percent increase in returns can be ensured. 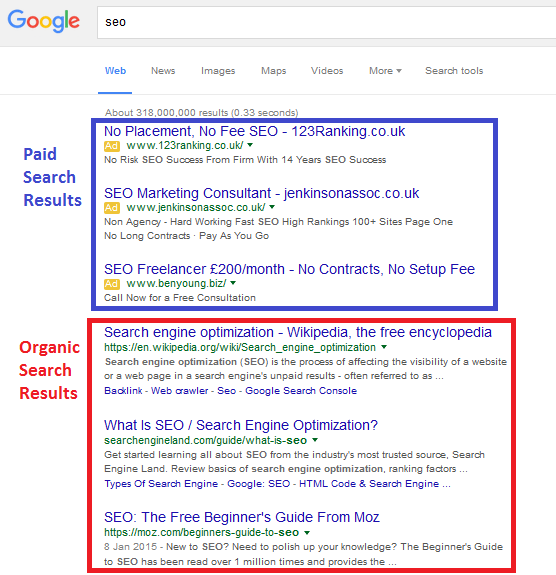 This makes Internet SEO Executives a sought-after class. The average salary for a Search Engine Optimizer ranges from 3.5 lakhs per year to 4 lakhs per annum. He must be proficient enough in getting free traffic via Google and other Search Engines. The required skills in online digital marketing jobs as a Search optimizer are keyword researching, user experience optimization, use of Google’s webmaster tools, managing duplicate content and page indexation. To advance career growth, SEO tools and certifications are pluses. Digital Marketing Jobs related to Social Media Marketing calls for expertise in driving website traffic, ensuring brand awareness and optimizing online presence via social media networks. The candidates must know technologies and strategies for running paid campaigns and unpaid campaigns to attract readers on different social channels. According to Octane Research, 46 percent customer engagement comes from social media updates as companies search for best Social Media experts. The average salary of Social Media Experts is around 3.5 lakhs depending on the expertise in Paid and Unpaid Social Media campaigns. unpaid Social Media campaigns are good in promoting the content in various social media platforms such as FB, Twitter, Instagram etc. Search Engine Marketer promotes websites on Search Engines via Paid and Unpaid means to increase visibility in SERPs. More prominently, strategies of paid advertising campaigns must be understood, for which knowledge of AdWords is important. A Search Engine Marketing Specialist earns around 5 to 10 lakhs per annum. In best marketing jobs Search Engine Marketer normally reports to Internet Marketing Manager and is responsible for a number of leads and clicks. They also do bid management, keyword research, coordination with copywriters testing of Ad campaigns. Copywriters come under Content related Internet Marketing Jobs. The copywriter must assist the content team in refining content to ensure better reception via smart storytelling for specific audiences. Copywriters work with social media managers offering better phrases and posts on social media. Copywriters also help Search Engine Marketing to create better Ad Copies to fuel sales. Copywriting is a high demand Freelance Internet Marketing Jobs across the world. The average salary is 3 LPA to 10 LPA depending on experience and skills. An Email Marketing Manager must know the audience well, get Emails delivered, integrate Social Media, add CTAs, optimize Emails, etc. An Email Marketing Manager is responsible for creating engaging marketing content, building lists according to the different target audience etc. The average salary ranges from Rs 4 lakhs to 8 lakhs depending on experience, expertise and certifications. Email Marketing Manager is very important in online marketing jobs. Inbound marketing is pull marketing and draws the interest of people instead of buying. That way the term inbound marketing fully justifies the process. Generally, an Inbound Marketing Manager draws customers to the website with interesting content, online videos, SEO, Social Media, Blogging, Email Marketing, Word of Mouth, etc. 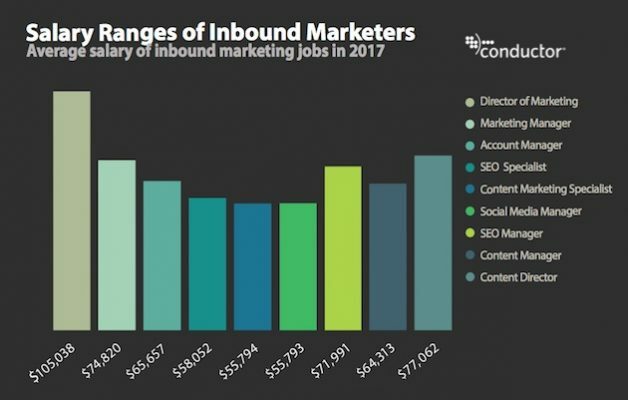 The average salary for an Inbound Marketing Manager is 4 to 6 lakhs per annum. There is a lot of synergy in what Inbound Marketers and Content Marketers do in terms of managing the funnels and conversions at different stages of Digital Marketing. Content Marketers execute the strategy devised by Inbound Marketers. Conversion Rate Optimizer can increase conversion ratio in different stages of a marketing funnel. CROs help inbound marketer create smart landing pages for better conversions. CRO Tools help in optimizing conversions and CRO Tools such as Heatmap tools CrazyEgg.com must be tapped for insights into the people’s behavioural interaction with different landing pages. This expert must process Business Intelligence derived from Analytics for insights to drive decisions, measure up performances, and prepare suitable actions. 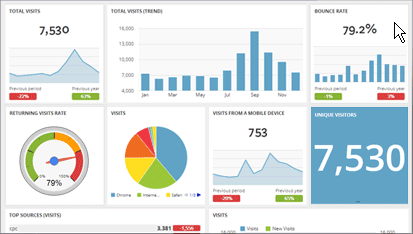 Google Analytics Expert will also assess the performances of Internet Marketing campaigns and measure the ROIs. This one of a kind Internet Marketing personnel also tracks Ro1 from Social Media. The Google Analytics Jobs include Data Analyst, Business Analytics Professional, and Predictive analytics Professionals. The average salary ranges from 4 to 20 lakhs per annum. Nice blog. Thanks for sharing sharing such a blog. internet marketing jobs provide such vast range of jobs opportunity, I came to know today only. 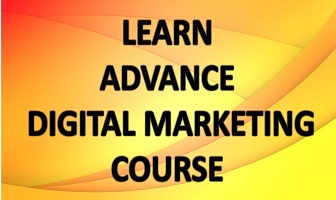 digital marketing course can really get some good pay jobs . 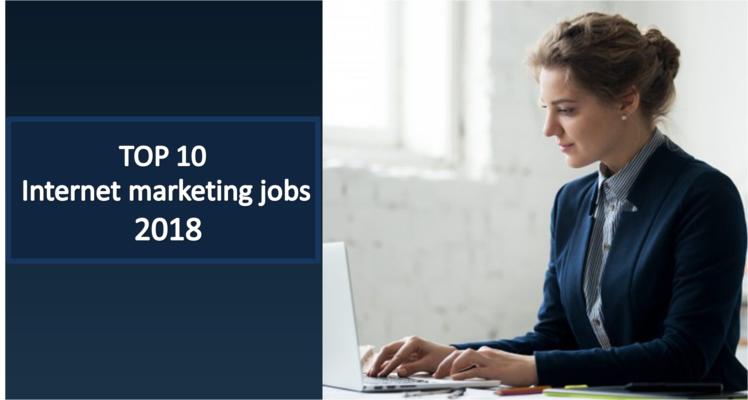 Thanks for finally writing about >Top 10 Internet marketing jobs in India 2018 <Liked it!